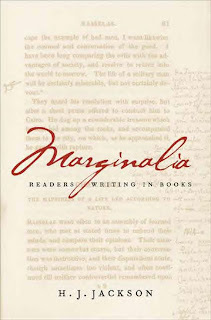 Author Garry Wallace says that he writes in the margins of the books in his personal library, and he's not the only one. 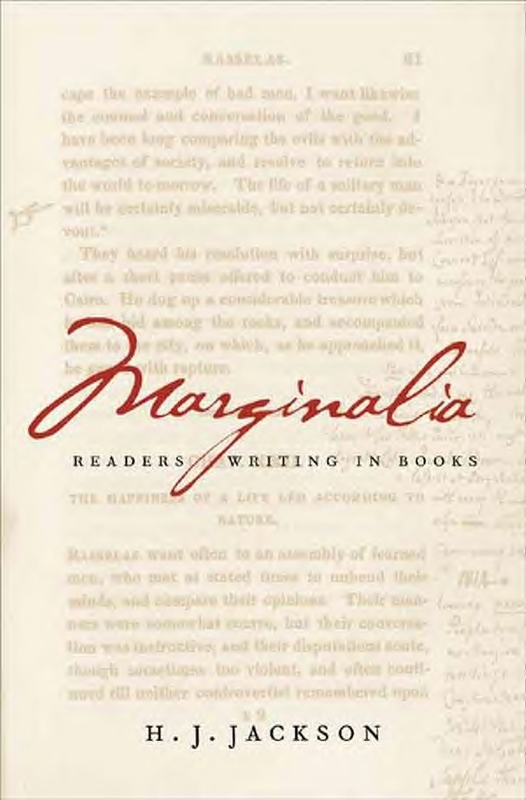 H. J. Jackson wrote a marvelous study of this practice entitled Marginalia: Readers Writing in Books. I never write in books myself because I occasionally resell a book here and there, but also because I realize that the personal meaning we derive from books changes as we age. Wendy Lesser wrote the best study of that process in Nothing Remains The Same: Rereading and Remembering. Garry Wallace's account of meeting Cormac McCarthy back in 1989 reveals that, even then, McCarthy rarely read fiction and mostly studied works of science--physics and works relating to consciousness. Twenty-some years of reading science does not make you a scientist, but it does make you very well-read in the field. A recent article in the Guardian (link) briefly discusses some of the many works of science McCarthy has copy-edited. Harvard physicist Lisa Randall says that they went over the material too. No doubt these manuscripts with McCarthy's marginalia would sell for a high price at auction. If poker player Betty Carey saved the Cormac McCarthy-annotated manuscript of her memoir, she would have no trouble finding a buyer for it now. In the past two weeks I've read several other memoirs of poker players and have discovered that some of them are surprisingly good. 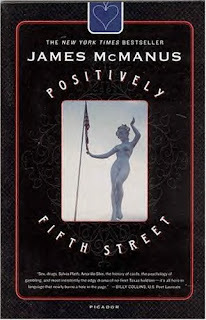 James McManus's poker/murder memoir Positively Fifth Street turned out to be full of classic literary references and fun to read. He deftly compares the murderess's forecasting of her murder to the ramblings of the Wyrd sisters in MacBeth, and he summarizes Al Alvarez's ruminations on poker, Sylvia Plath, poetry, and suicide. Texas drug king-pin Jimmy Chagra (think Chigurh) is in here too, along with interesting profiles of the Lederer family, Armarillo Slim, Stuey Ungar, and other professional poker players and gangsters. McManus himself is the main character as he tries to survive the poker tournament, beset with challenges both professional and personal. He brought to mind what neuroscientist David Eagleman says of the Ulysses contract and the arguments between our different selves. 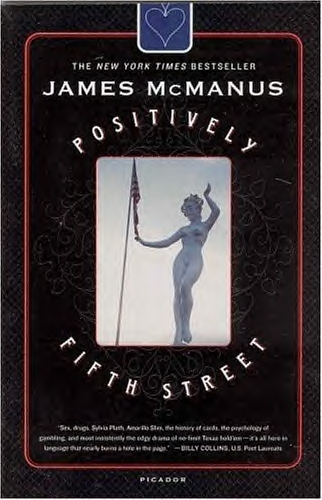 McManus also brings in references to Dostoyevsky, Samuel Beckett, Tolstoy, Dante, Hemingway, and James Joyce. He provides a succinct history of playing cards, of their mythic and historic symbolism. 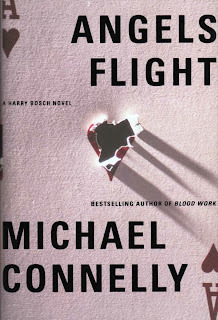 Angel's Flight by Michael Connelly. The title made me think of an Enya song, and of one by Sarah McLachlan. 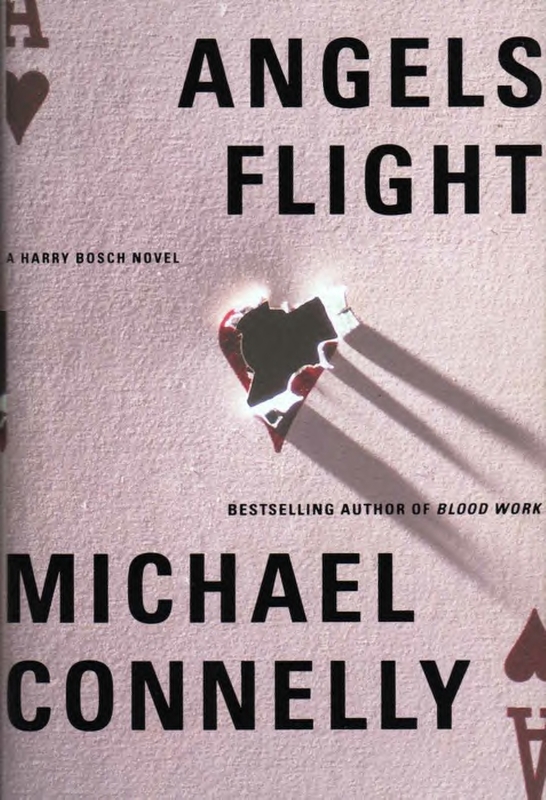 I hadn't read any Harry Bosch novels in years. I remember now how good they are. The dustjacket art is by world class poker-player Jennifer Hayden, who is discussed by McManus. The Music of Chance by Paul Auster. This is an interesting novel dealing with poker and lots of Masonic symbols. Auster is always worth reading and Hayden did the dustjacket art for this one too. 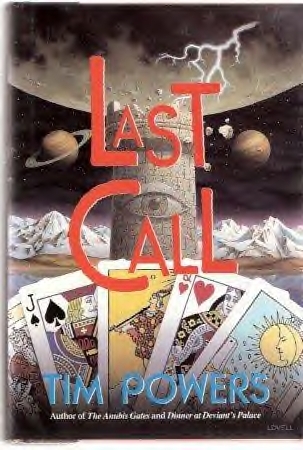 Last Call by Tim Powers. This is a naturalistic fantasy--no oxymoron intended--and I like reading Powers best when he leans toward that naturalism. This features a poker game that combines tarot cards with regular poker cards. I did write in some novels a long time ago. My sister and i used to have these ragged copies of Blood Meridian we had post it notes and highlights and writing on the pages. The thing is...you almost have to read the book again if you write on the pages in order to find those notes. Now I just use post it notes....and then I usually take them out after I have re-read or typed out a quote/excerpt. I love Wendy lessers writing!